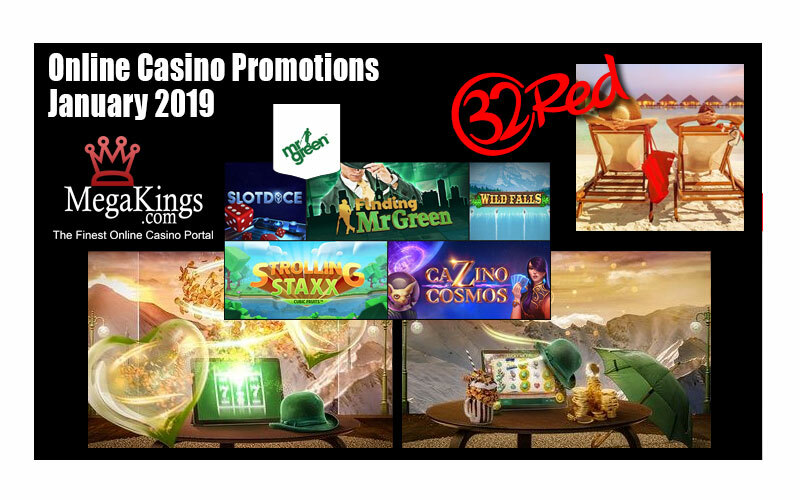 Once again we bring you the best Online Casino Promotions January 2019. 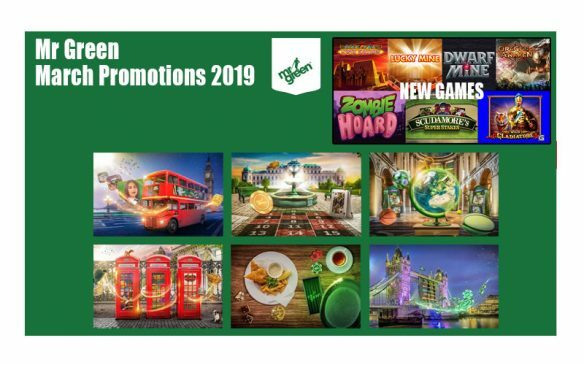 We have some great promotions and news games from Mr Green and something special from 32Red so far. Let’s take a look at what to expect this week. Skip the big freeze and fly to paradise! Think blue lagoons, sun and sandy beaches… no not Southend-on-Sea, we’re talking about the Maldives! You’ve got until 30th January to play for a chance to jet off and bask in the sunny Maldives, and all you have to do is make sure you’re opted in and play any of your favourite casino games to climb the leaderboard. If you don’t win the big prize, there’s still £10,000 in Casino Bonuses up for grabs to thaw those winter blues. Play any of your favourite games between Wednesday 16th – Wednesday 30th January. Win a trip to the Maldives if you finish first. 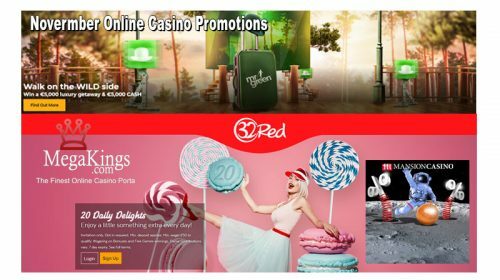 We are calling all Free Spin lovers to enjoy up to 60 Free Spins per day. Every 200 rounds played across our beloved game collection unlock 20 Free Spins on any of those games. Players can enjoy this moment up to 3x per day and enjoy a loving total of 420 Free Spins. Mr Green players are indulging in Free Spins to their heart’s content during 30 seconds of non-stop Free Spin fun up to 5 times per day. That’s 2.5 minutes of Free Spin indulgence per day and a total of 17+ minutes throughout the promotional period. Any spin at €2.50 across our book-game collection could take a thrilling twist and reveal 1 of 400 hidden Cash Prizes worth €50 all the way up to €2,000. There’s a total of €25,000 hidden across our book-game collection, will your players have a happy ending? Life’s busy, so we are doing all the work for our players and are sending them straight into the bonus round of ‘Eastern Emeralds’, worth €4 a single spin. All players need to do is, play 400 rounds at €6 per spin to qualify for this moment. A treasure of €5,000 in CASH has been lost somewhere in the past! The top 20 players with the most points on the leaderboard at the end of the promotion will win a share of the cash. Mr green has some fantastic new games available this week. 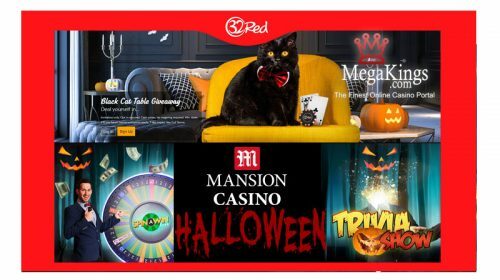 From Net Ent, Microgaming and many more the choice is amazing for all players. Check out these fantastic new games. Also available at other online casinos.